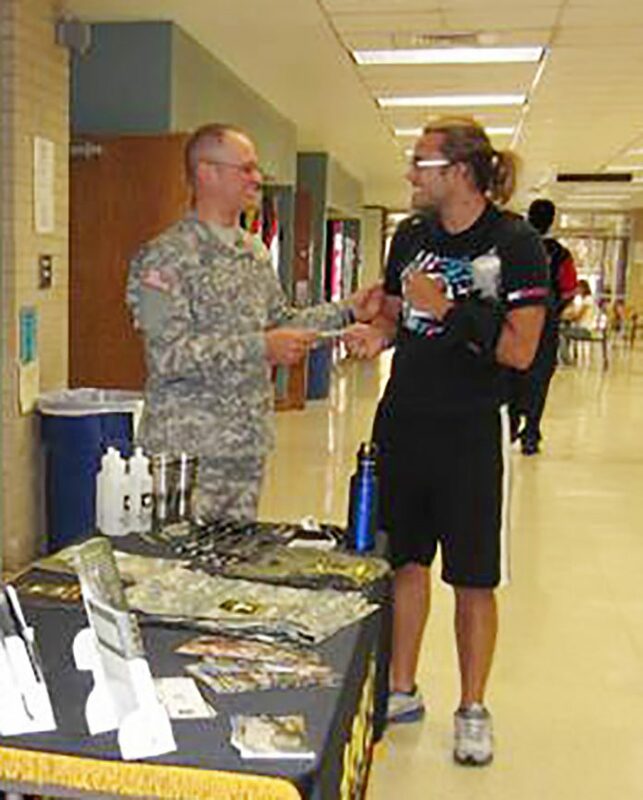 Students interested in learning more about careers in the military can do so at the military career fair Sept. 12 on NW Campus. The fair is 10 a.m.-2 p.m. in WSTU 1303 and 1305. Recruiters from every branch of the military will set up tables and activities such as pull-up bars, NW veterans counselor Anna Hinman said. The fair is primarily for students who have never been in the military before and are interested in finding out more. Students can learn about each branch without having to drive around to different recruitment offices, NW career services coordinator Tracy Williams said. “And if you don’t know the difference between say, the Air Force and the Navy, well then, you can find out,” she said. The atmosphere is fun and may also be more relaxed at the fair compared to a recruitment office, Williams said.